Maybe your soul is weary or discouraged because you’ve been trying to handle difficult people and circumstances with your own wisdom. Maybe it’s time to search out God’s wisdom instead. 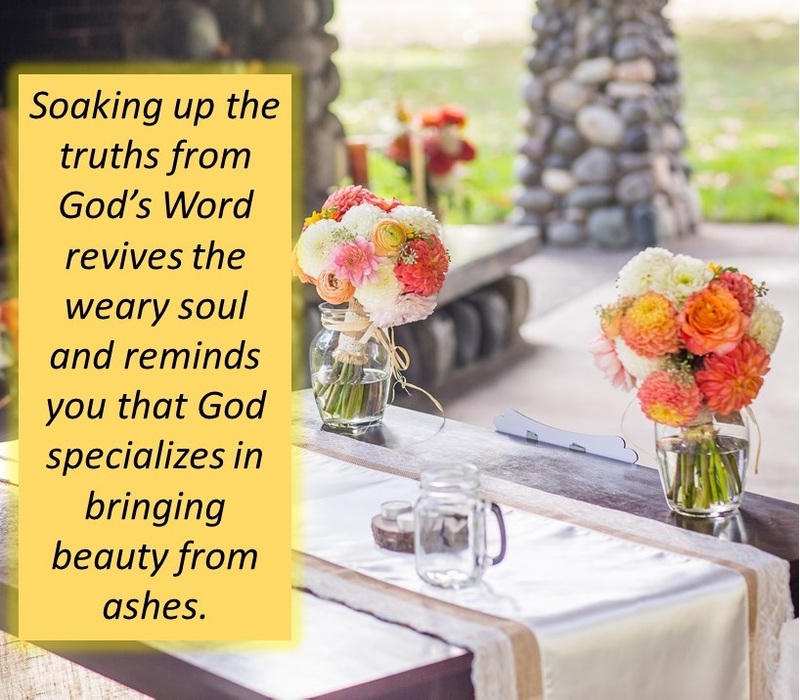 For instance, if you are depressed about your husband’s continuing verbal abuse toward you and your children, maybe your soul will be refreshed as you read God’s instructions for dealing with someone who is sinning against you. You might want to read Matthew 18:15-17. ← Is your clothing attractive to him?